I myself am not a cat person and don't have a cat but wanted to share this freebie with any of my kitty-loving readers. 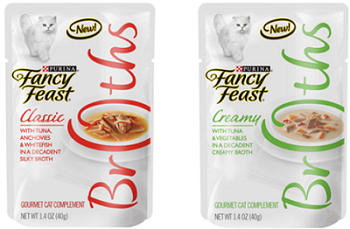 :) Go ahead and snag a FREE Fancy Feast Broths Cat Food Sample by clicking on the "tryabowl" button on the left hand side of their page. Hope your kitties love this one!